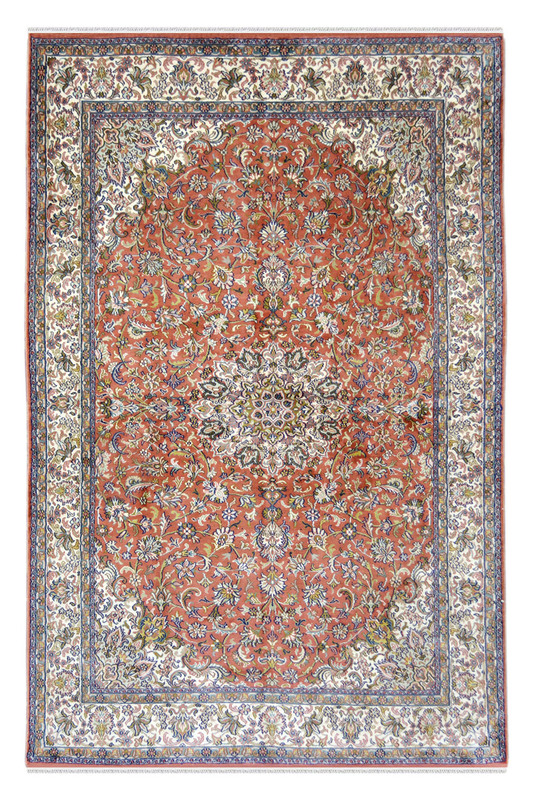 Rust silk kashan persian silk rug with combination of rust and cream. 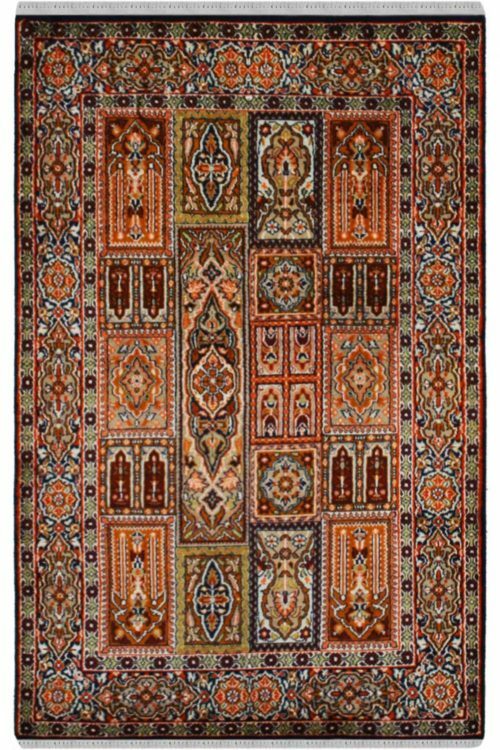 Absolutely a best combination of rust and cream color in 100% handmade kashmir silk carpet. 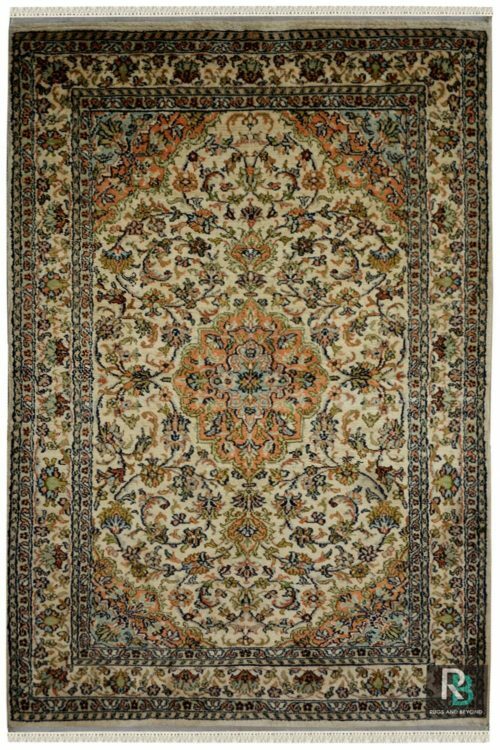 This beautiful carpet is weaved by our expert artist in soothing rust Pure Silk in kashan design. 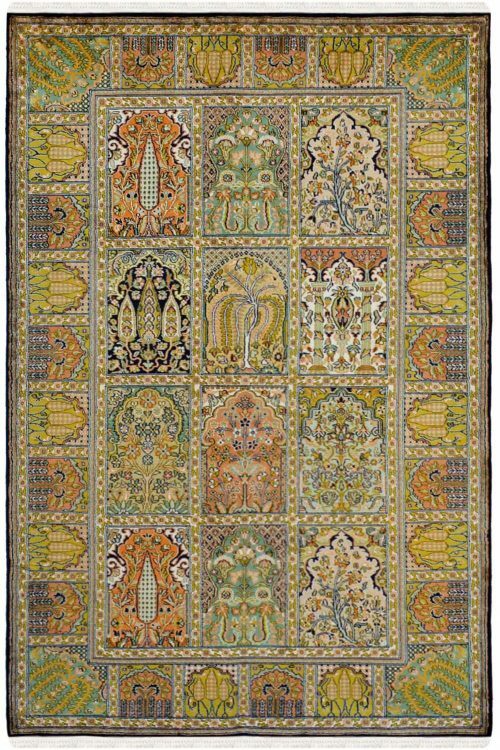 Ivory color and green, orange in kashan design which makes it even more interesting and more attractive. It has taken approximately 10 months to weave. Number of Knots in this rug are 576 knots per square inch. The base in silk and top in pure kashmir silk. Ideal for a living room with subtle colors.